Captain Joseph Sellwood’s title was earned not in battle nor behind the wheel of a Great Lakes steamer but in the mines of Cornwall, England, where he was born, and Northern Michigan. (Nineteenth-century Cornish used in nautical terms and carried that tradition—along with the pasty—to the U. S.) Sellwood (1837–1914) first arrived in America in 1856 and briefly worked in a New Jersey iron mine before moving on to the copper mines of Michigan’s Upper Peninsula. After partnering in several mining operations in Michigan and Minnesota, Sellwood moved to Duluth in 1888; ten years later he was in charge of every mine owned by the American Steel and Wire Company. When Andrew Carnegie and J. P. Morgan announced the creation of U.S. Steel in 1901, Sellwood struck out on his own, investing in developing mines. 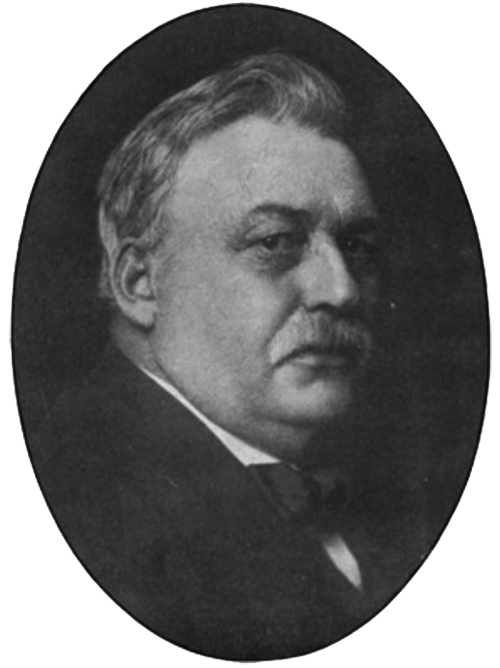 Over the course of his career, the “most able man in the Lake Superior district, if not in the United States,” owned interest in twelve mines and a steamship company; was president of Duluth’s City National Bank, the Bank of Ely, and the Bank of Two Harbors; presided over the Cass Mining Company and the Bradford Mining Company; and acted as vice president of the Duluth & Iron Range Railway and president of his son-in-law’s Liethead Drug Company (later Northern Drug). In Duluth he built the Sellwood Building at 202 West Superior Street and three homes at Eighteenth Avenue East and Superior Street, one for himself and his wife, the others for his daughters and their husbands.